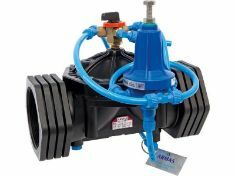 IrrigationBox presents plastic hydraulic control valves are direct diaphragm closing automatic hydraulic control valves which work with line pressure. They ensure easy and smooth flow with minimum pressure losses thanks to excellent design of valve body and diaphragm. BACCARA G75 Solenoid Valve and Control Unit controlled Hydraulic control valve operated by line pressure. 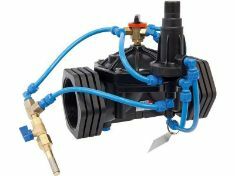 Easily control with stand-alone battery driven irrigation controller timer. Powered by a single 9V battery. 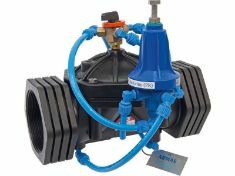 BACCARA G75 Solenoid valve controlled pressure reducer control valve continuously controls downstream pressure value and maintains it without being affected by flow rate and upstream pressure values. 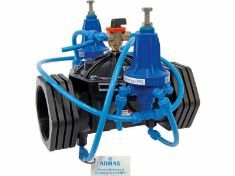 It has two pilot valves and reduces downstream pressure to desired value by sustaining upstream pressure. 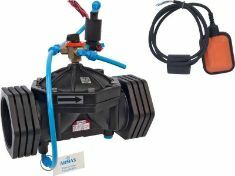 It protects your water system by releasing pressure surges in water network elevation lines to atmosphere quickly, which are caused by sudden changes in water speed. It maintains valve upstream pressure value constant. 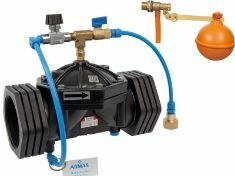 Valve is opened when line pressure reaches the preset pressure level. 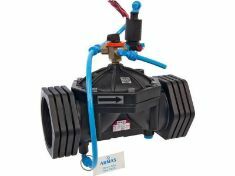 It controls water level in reservoirs and tanks. 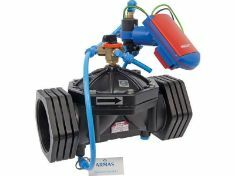 Main valve is controlled by 2-way modulating type float pilot valve or manually. 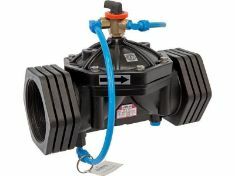 BACCARA G75 Solenoid - Float Level Control Valve controls water level continuously by means of electrical float placed in reservoirs and tanks. 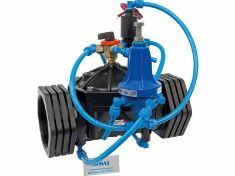 The valve senses the pressure difference and ensures that main valve opens in desired flow rate.